Dubai is one of the modern cosmopolitan cities of the world even though it is a Muslim emirate. Dubai is one of the most liberal Muslim states in the world. Tourists and visitors coming over to Dubai should ensure they follow some definite rules and regulations to avoid offending the local population. 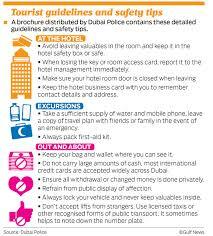 Following are some of the travel tips for Dubai safety that would be handy for all travelers. Dubai being an Islamic state prohibits unmarried couples from living together mainly in hotel rooms. Hotels can stop providing you services like booking a tour or calling a cab if you do not adhere to the local customs and traditions. 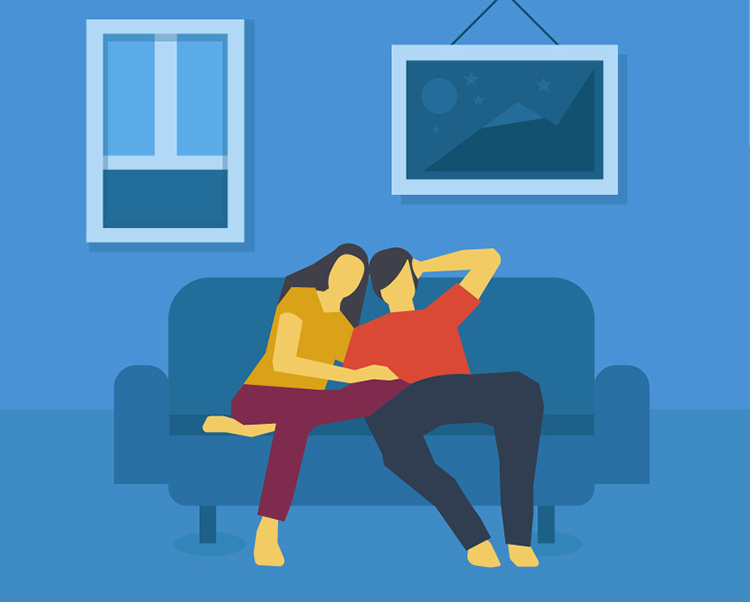 The Tawajed clause in the Islamic religion states that unmarried couples should not be living together unless they are married or are family. 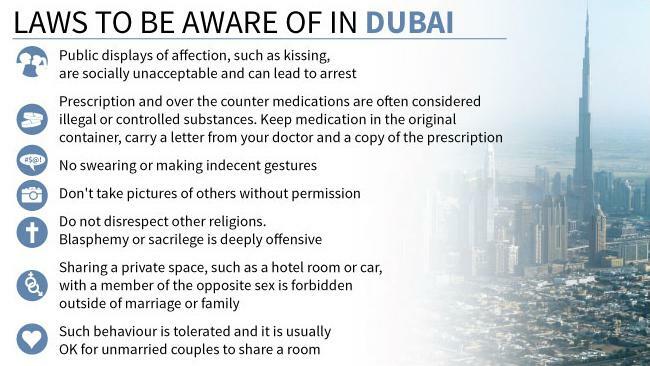 Public display of affection is considered offensive in Dubai; hence they should be avoided wherever possible. Homosexuality is not permitted in any part of the UAE. Hospitality and courtesy are two main features of the Arab world, and every tourist and visitor will experience the warmth and friendliness of the local Emirates when visiting Dubai. Respecting the local culture and social values would help you enjoy the best of Dubai. Also, recognizing higher-ranked people or respecting elders are common elements of the social culture of Dubai. If you are sharing a meal with a local, accept the food and refreshments before moving or discussing other matters. Food and drinks should be taken only with your right hand. Be careful when using hand gestures and prefer using the whole hand when indicating something. It is considered to be offensive if you show your sole or feet to other guests. If you respect the social values of Dubai, Dubai will surely love you back. Tourists and visitors are recommended to dress modestly when they are visiting the conservative areas around Dubai. Swim-wear is perfectly fine when at the beach, but not elsewhere. There is no restriction in wearing casual clothing like t-shirts and shorts in most places. Just ensure that you cover your arms and legs thoroughly when you are entering mosques and other religious sites in the city. Women are expected to wear head scarves when they are entering mosques. If you are visiting nightclubs or lounges, you are free to wear what you want. In general, loose-fitting and lightweight summer clothing is ideal for the Dubai weather. Every destination in Dubai has a predefined dress code. Just follow the dress code of that destination and enjoy the charm and elegance of Dubai like never before. Social Media usage can be tricky at times. Even though it is one of the most influential tools to connect and share your views with millions of people across the world. 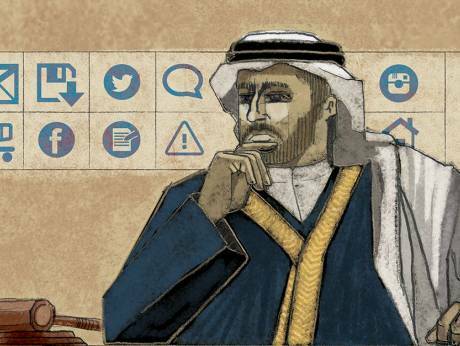 The UAE government has stringent laws that protect the privacy of an individual when dealing with a double-edged sword like Social Media. Disclosing information about the personal life of a person or posting defamatory statements is a legal liability. The UAE TRA monitors online content available and the websites you visit. Displaying or publishing pictures online without their permission is punishable under Cyber Crimes Law (Federal Law no. 5 in 2012). The months between November and April are probably the best time to visit Dubai. The weather is pleasant and not too harsh for tourists and visitors. 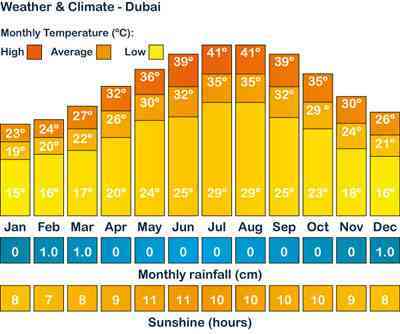 The scorching heat and soaring temperatures during the summer season can be hard at times for people visiting Dubai. The Ramadan season is also an excellent time to explore Dubai unless if you are looking to shop till you drop. Dubai is one of the ideal modern tourist destinations, but crooks roaming all around the city target several tourists and visitors. Some of the most common tourist related scams are spilled liquid/spit scam, pickpockets, a woman with a sick child, traveling salesman scam, injured beggar, running out of petrol, and fake goods/jewelry. 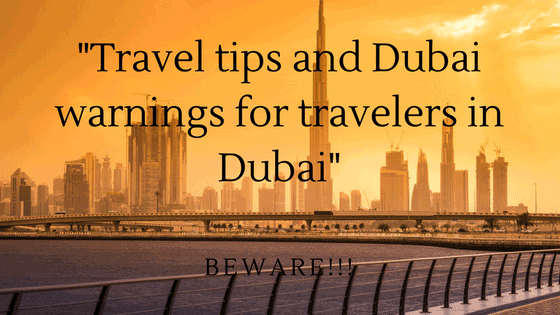 Being a traveler, one can easily be targeted, as they are unaware of the local tourist-related scams in Dubai. Be careful whenever you are dealing with these common scams or some new scam. It is best to avoid them and walk away quietly. Alcohol is permitted in Dubai in licensed bars and restaurants mostly located in hotels. There are shops at the Duty-Free Shop, where the one person can purchase up to four bottles. 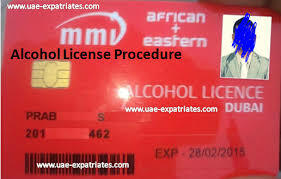 People can purchase alcohol in supermarkets or liquor stores if they are a resident of Dubai with a valid alcohol license. Consuming alcohol on the streets of Dubai or drinking and driving is strictly prohibited. It is termed illegal and can lead to severe punishments. Alcohol is not served on public holidays, public places, and during periods of mourning. Possession of drugs/medication without a prescription is termed illegal in Dubai. 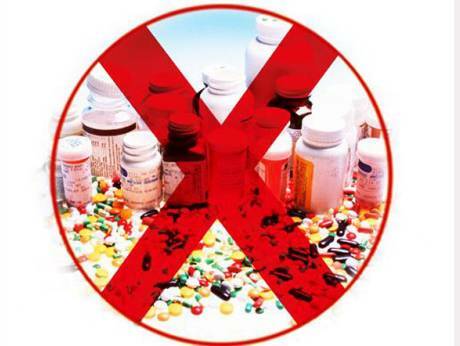 Specific ingredients in prescribed drugs may be prohibited in the UAE. Tourists and visitors should consult their local doctor about the medication they can carry before they plan their trip to Dubai. Be ready to face severe consequences if caught, as Dubai has no tolerance towards drug offenses. The Dubai government has made stringent laws against counterfeit goods, but they have still not been able to eliminate the vibrant trade of these items. Many fake items look very convincing at a casual glance and are often on public display in street vendor shops. Many counterfeit items may not even last a fortnight, while some may not last as long as the original item. Tourists and visitors should thereby check the quality carefully before purchasing items. Be prepared to bargain, as it is considered a norm. Do not be afraid to walk away if you do not get your target price. Do not worry, as there are plenty of offers on the street. Getting familiar with the Dubai cultures and etiquette helps you uncover the best of Dubai’s traditions and rich cultural heritage. If you wish you to explore Dubai to its fullest, then do keep these norms and respect their traditions and customs. Dubai has always opened its arms for tourists and visitors with its warm and friendly local population.